Southwood Graphics is proud to have the largest vehicle graphics installation/removal facility in the GTA (Greater Toronto Area). We can accommodate nine trailers in our multiple bays facility. No vehicle graphics wrap job is to big or too small. Since 1990, Southwood Graphics has been creating and installing quality vinyl graphics on a wide range of vehicles. Throughout the years, we have grown with the technology to encompass the fleet identification industry along with our smaller customers. Regardless of the size of the company, Southwood has always provided creative and dynamic ways of portraying our customers’ image. Whether you are a small business owner starting out with your first truck and a heart full of dreams, or you are one of Canada’s top 100 transportation companies with locations across the country, Southwood Graphics is uniquely positioned from its head office in Mississauga, Ontario to service your needs locally, and across the country. Our team of dedicated professionals will guide you through each step of the creation, graphic design, production and installation phases of your project so that each order is completed quickly and with the highest quality and consistency. We only use top external grade materials with UV resistant coating backed by a 5-7 year guarantee. Every project is installed in a controlled environment ensuring fast and professional application of your graphics by Southwood Graphics. Superior products & services from a team with over 20 years experience. A professional and concise proposal or quotation on your graphics needs. An environmentally controlled installation and production center in the heart of the trucking industry. Reduced down time: we are flexible so we can arrange a time to suit your needs. Onsite shunt service to and from our location. Trustworthy experienced team of customer care professionals ready to assist you in the creation, production & installation of your graphics – whether it is one vehicle or a fleet of over a hundred vehicles. Large or small...we do it all with quality and superior service. 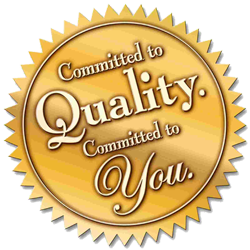 Southwood Graphics prides itself on being a family owned company with a friendly and creative team of customer care professionals. Owners Jeff and Sonia Stairs have always believed in the importance of getting involved in the community and giving back. That is why Southwood Graphics supports several charitable organizations that make a significant difference in the lives of children and the working poor. Make-A-Wish Foundation, The Teen Ranch Foundation and Daily Bread Food Bank are just a few of the ones they support.